At Academy Pet Hospital our mission is to provide progressive, compassionate, evidence-based care for your cats and dogs during all stages of life. Whether your companion is a baby, adult, or a senior our dedicated veterinarians and team members will provide you with care custom-tailored to your pet’s needs. 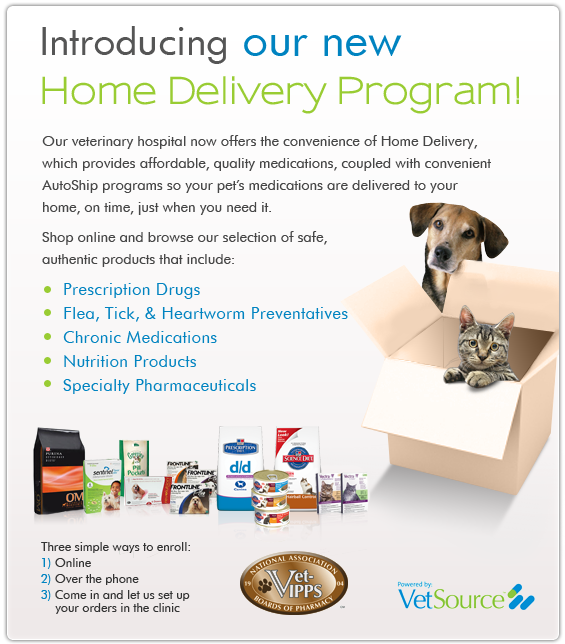 Your Pet Will Love Us At Academy Pet Hospital! We are dedicated to providing superior medical and surgical care. 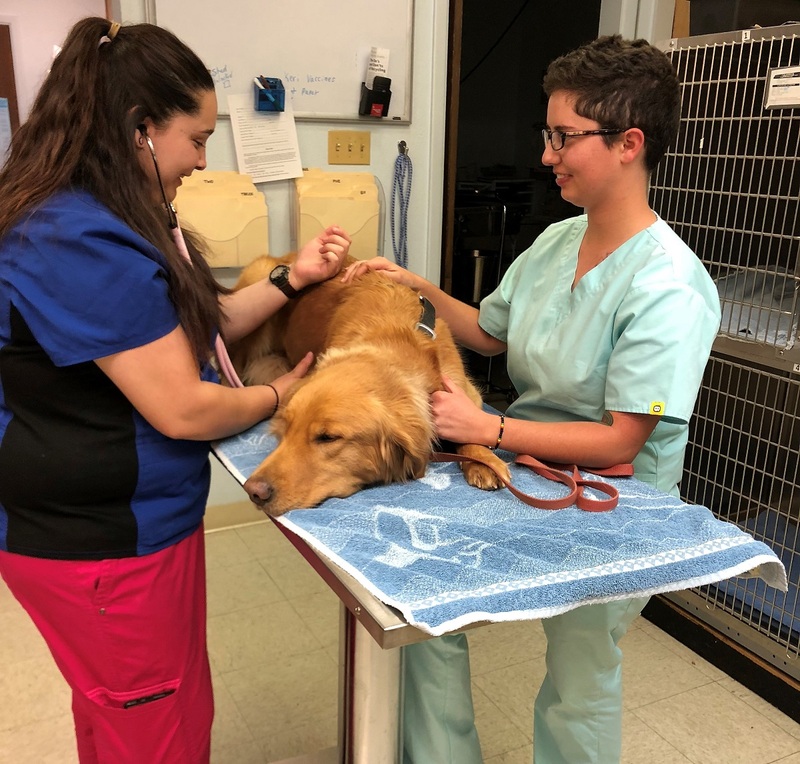 Whatever stage of life of your pet is in, our dedicated veterinarians and team members will provide compassionate care custom-tailored to your animal’s and family’s needs. We love animals and strive to make their visits as calm and comfortable as possible. Please feel free to stop by and meet the doctors anytime. You can also use our canine scale free of charge to weigh your dogs if you are trying to manage their weight at home. If you have any further concerns about your cats, dogs, or exotic pets we will go out of our way to schedule them to be seen by one of our doctors as soon as is convenient to you. Do You Need An Early Morning Appointment? We take early morning appointments and work around your schedule to have your pet seen as soon as possible. We also accept drop off appointments so you can go to work while your pet is examined and cared for by our staff until you are available. If you need to bring in your pet in the morning please call and we will find an appointment time that is right for you. Dr. Kathy Harris and the nurse and assistant made my nervous cat and nervous me very comfortable! The nurse even gave my kitty real chicken chunks to treat him for being such a good sport! The vet spent a lot of time with me explaining recommended procedures and answered all of my questions happily. Thank you very much! I always feel very confident and comfortable at Academy Pet Hospital. All of my pets are welcomed and treated with the upmost professionalism and caring . I feel my pets receive excellent care and the staff is very caring as well as courteous. It is an excellent clinic and hospital. I give them a top notch rating. My pets love them as well. Academy Pet Hospital give excellent care. I always feel that they truly love animals, Everyone makes my pet feel secure and relaxed. The doctors have always helped my dog and made me aware of his condition with explanations of what to expect and all of my options for his care. I never feel pressured to make quick or expensive decisions. They have helped my pet to heal during multiple scary health conditions. They’re friendly, compassionate and knowledgeable. Me and my dogs love the staff and care provided at Academy Pet Hospital. They're friendly, compassionate and knowledgeable. We've been going here for years and will continue to do so. We always have a positive trip to Academy Pet Hospital for our cat, Hoku. They are very friendly and very attentive to our pet, now and in the past several years. They're very thorough and informative if we need anything done; no surprises. We rarely, if ever, have had to wait past our scheduled appointment time. They were amazing when we had to say goodbye to Hoku's older brother, Mickey. They have office hours for everyone's needs. I would highly recommend Academy Pet Hospital for anyone who loves their pets. 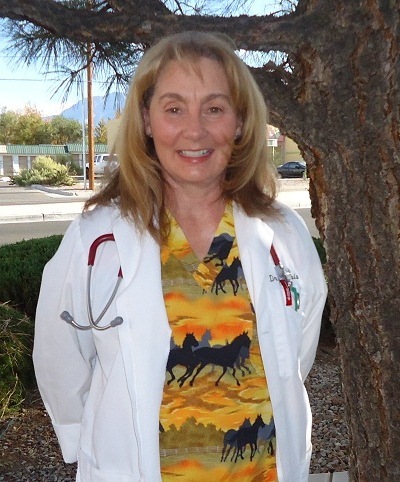 When I first moved to Albuquerque, I searched long and hard for veterinary care for my 2 dogs. After going through 3 veterinarians, a friend referred me to Dr. Harris and her team at Academy Pet Hospital. I could not be more pleased with the care and compassion Dr. Harris has shown to my dogs and to me. 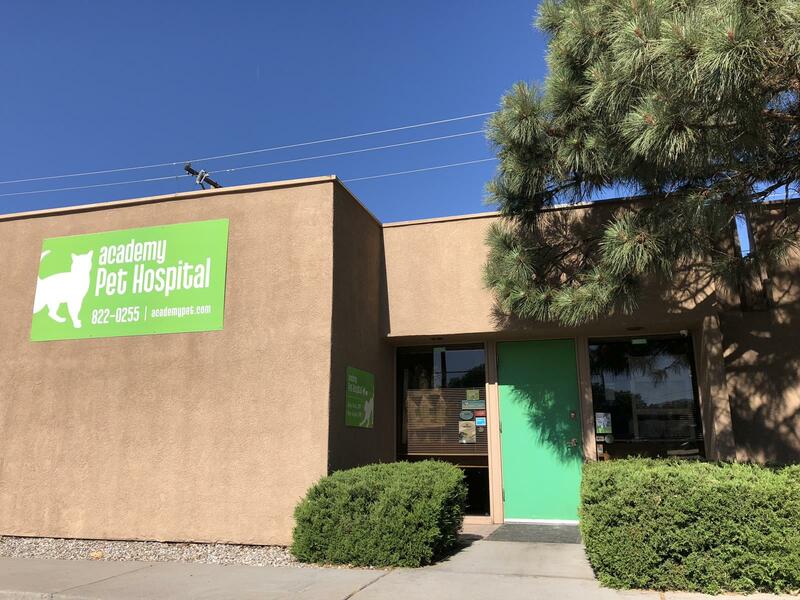 In addition, I have found that the costs of services provided at Academy Pet Hospital are far less than the competition in Albuquerque. I would highly recommend Academy Pet Hospital to all pet owners. Yesterday I had to put my dog of 14.5 years down. As with everyone, this dog was like my child and it was a very difficult decision but necessary. Everyone at Academy Pet Hospital is so special and so caring and empathetic. It just made it a little bit easier to do. Before this event, I was very happy about the way they treated my dog and me. These are great people! I love going to Academy Pet Hospital, every time I walk through the door I feel like they know me and my pets. I brought my son's cat Sabrina and my dog Kalulu here. Not only was the staff kind and courteous they made my new family members feel safe. In any situation the team at Academy Pet Hospital are always calm, kind and courteous! Good prices and great information. The experience was great. Staff was very courteous, knowledgeable and polite. Vetranarians were caring and answered all my question and concerns. Thank you for everything! The staff has always been wonderful. Whenever I need anything, you are all more than willing to help. 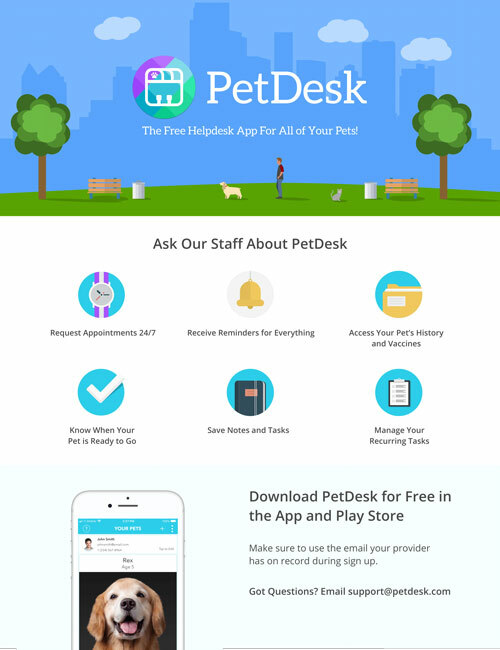 You have always done a great job taking care of our pets! I'm always pleased with the warm affection my cats receive by all staff members. They see hundreds of pets a week, but they make me feel that mine are as special to them as they are to me. Academy Pet Hospital Copyright © 2019. Copyright © Academy Pet Hospital All rights reserved.